Have you got the dates of this year’s Music in the Gardens in your diary? 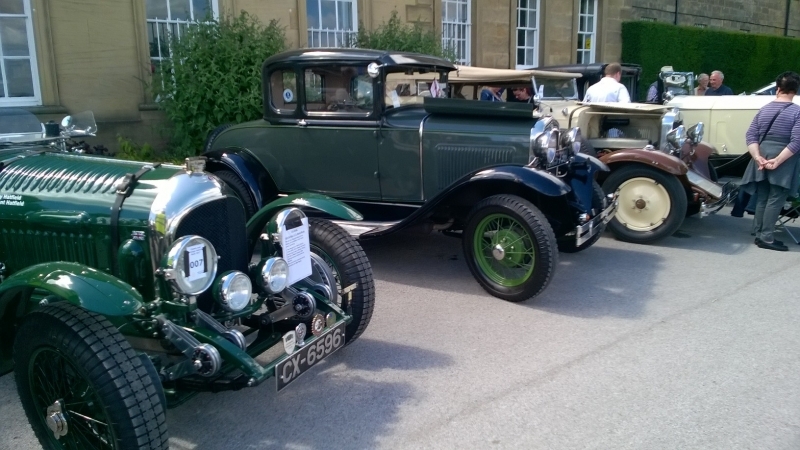 Friday 29th June to Sunday 1st July. 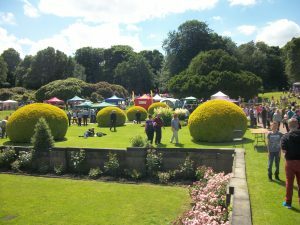 Music in the Gardens is pleased to announce its line-up for this year’s 3-day music festival in the Sheffield Botanical Gardens. Rotarians and Rotary Clubs will be able to acquire tickets directly from the Company, thus saving the booking fee. Michael The Legacy – A jaw dropping tribute to Michael Jackson celebrating his life and music. Ultimate David Bowie Tribute Show – Prepare to be transported across 40 years of Bowie – from Spaceboy to Superstar. Last Summer saw the Magic of Motown – Under the Stars wow a 5000-strong crowd at Rochester Castle and similar numbers were left dancing in the aisles at Chepstow Castle, Leeds Millennium Square and London’s O2 and now its your chance to join the party at Sheffield’s Botanical Gardens. Prepare yourself for 40 back-to-back classic Motown hits, glittering costume changes, dazzling dance moves and outstanding musicianship in this explosive concert experience. The timeless music of Marvin Gaye, Diana Ross, Stevie Wonder, The Temptations, The Supremes, The Four Tops, Martha Reeves, Jackson 5, Smokey Robinson and more, are sensationally recreated for you by an exceptionally talented cast and band. This breath-taking concert spectacular takes you on a musical journey through all your favourite songs, including: Ain’t No Mountain High Enough, Signed Sealed Delivered, Grapevine, Get Ready, Dancing In The Streets, My Girl, Blame It On The Boogie, Uptight, Endless Love, My Cherie Amor, All Night Long, Heatwave and many, many more. So, Reach Out for The Magic of Motown! Music in the Gardens 2018 presents huge talents and great music in a sublime setting at the ultimate picnic for families and friends of all ages. Summer evening concert for those who like their festival experiences with style and class and the Sunday Fireworks this year will be our most ludicrous yet! 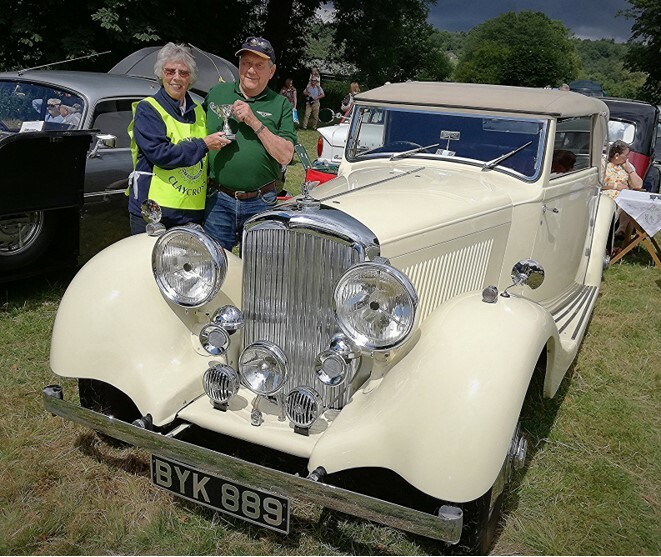 Food and drink available or bring your own – WE don’t mind! Book your party now as this event is sure to be a sell-out. Three BRILLIANT nights of hit after hit. Music in the Gardens presents huge talents and great music in a sublime setting at the ultimate picnic for families and friends of all ages. Food and drink available or bring your own – WE don’t mind! Summer evening concerts for those who like their festival experiences with style and class. And the Sunday Fireworks will be our most ludicrous yet! Book your party now as this event is sure to be a sell-out. On 17th November, at the Village Inn at Ripley, the Rotary Club of Amber Valley are holding a Dads Army themed film night. 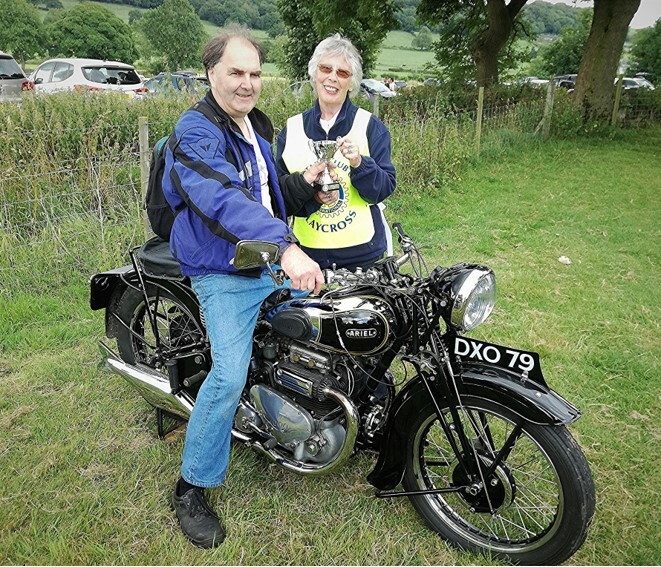 The crowds flocked in to break all records for the sixth annual Ashover Classic Car & Bike Show which this year raised over £13,500 for the benefit of local charities. Organised jointly by the Rotary Clubs of Chesterfield, Chesterfield Scarsdale, Clay Cross, and Matlock, the event held on Sunday 24 July 2016 provided a unique showcase for an amazing variety of over 700 classic cars and bikes brought by their proud owners from all over the region. 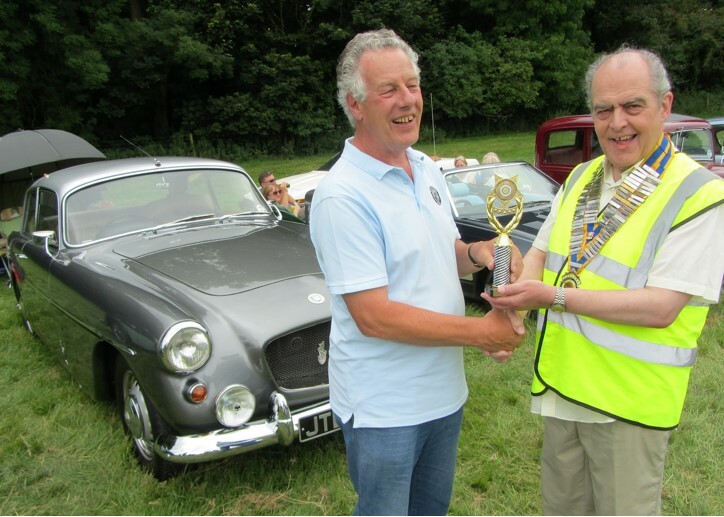 Best Car was adjudged to be a rare 1960 Bristol 406 with 2.2 straight six triple colex carbs owned by David Mann from Sheffield. 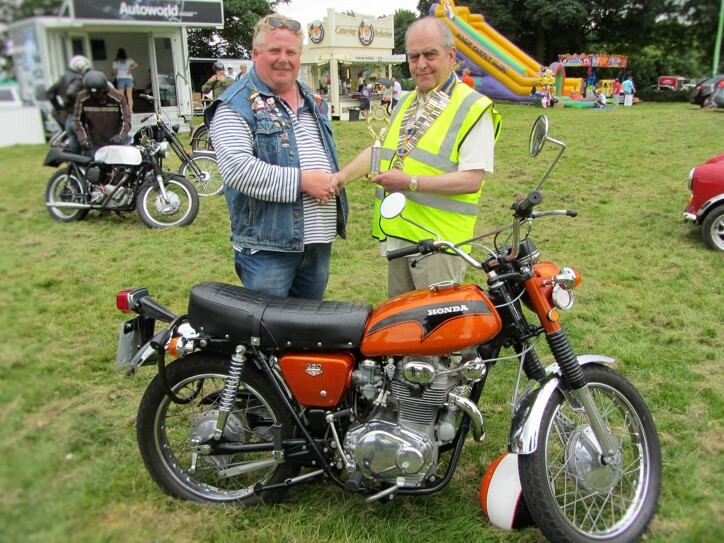 Best Bike was adjudged to be an immaculate 1971 Honda K3 Series CL 350cc Street Scrambler owned by Bill Rimmer from North Wingfield. 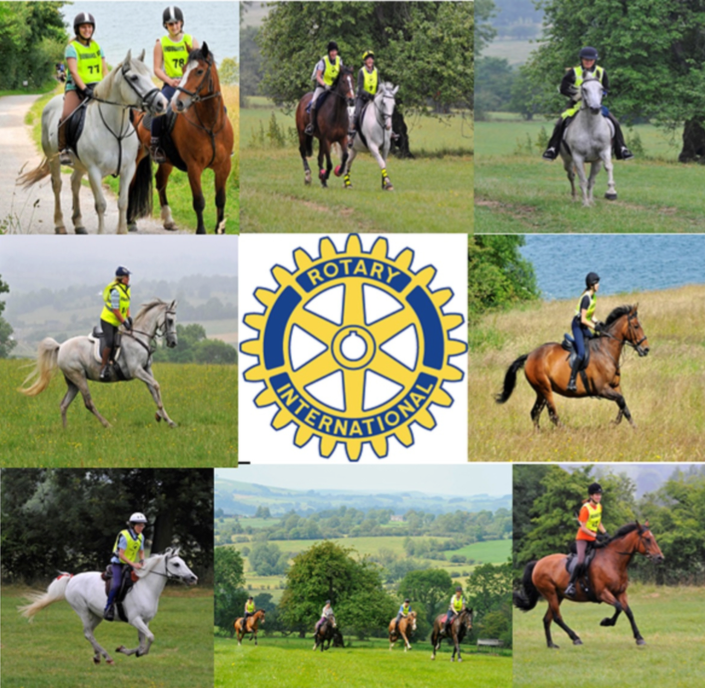 Come and join us on 1 of 3 rides from a short 3 mile course – ideal for children with their pony, to a 10 or 14 mile ride for the more experienced riders. 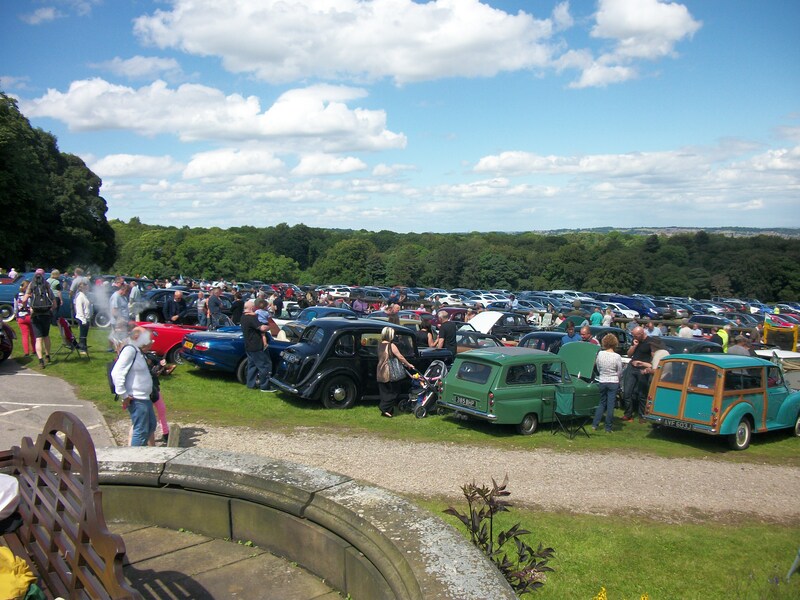 All with spectacular views of the reservoir with parts of the rides on land not usually open to the public. Keyworth and Ruddington Inner Wheel are hosting an Evening with Anne Boleyn at Widmerpool Church on Friday 20th May – doors open at 7pm with a ;prompt start at 7.30pm. Tickets are priced at £12.50. each and this will include a light supper and a glass of wine. Anne Boleyn is portrayed by Lesley Smith from Tutbury Castle. I am sure that many of you will have seen her in her roles as Elizabeth I, Mary Queen of Scots and Nell Gwynne. Lesley portrays Anne just before her execution when she is in the Tower, looking back over her life from her young years at Hever Castle and eventually her relationship and marriage to Henry VIII and then her downfall. It will be a very powerful but wonderful performance in a beautiful Church in the lovely village of Widmerpool.